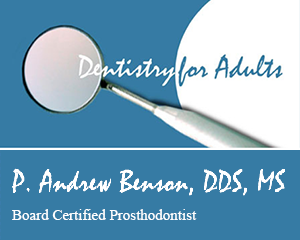 Susan is our hygienist. She is a lifelong Texan. She has three children, three grand-children, one son-in-law and three fur babies. 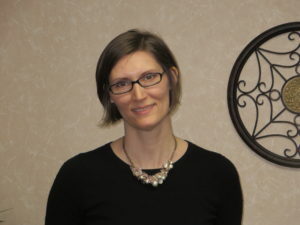 She brings with her a positive and friendly attitude and prides herself in getting to know her patients personally. 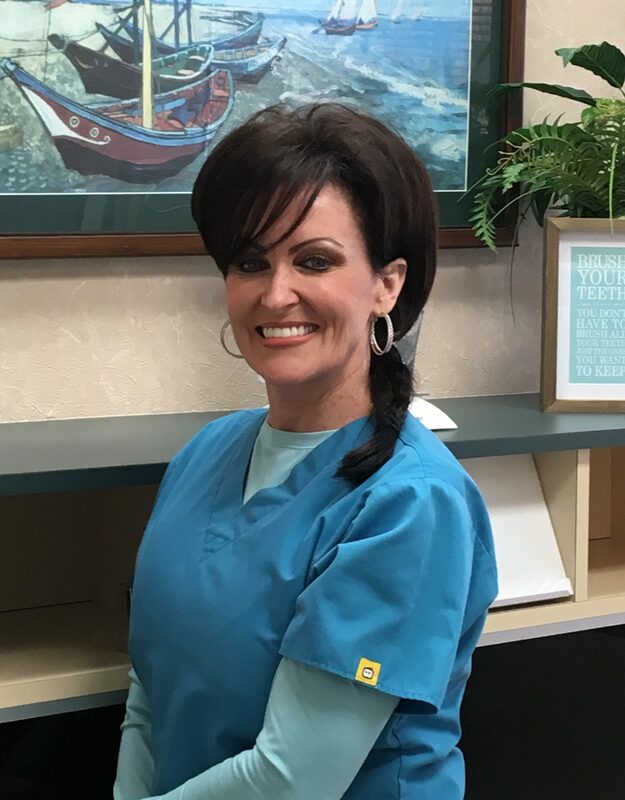 She loves being a hygienist and has over 25 years of dental experience. 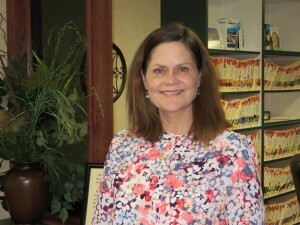 Susan’s goals are to provide optimal oral health to all patients in our office. In her spare time you can find her spending time with family and friends, shopping or watching sporting events. 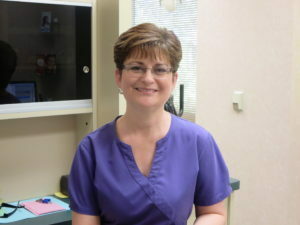 Kathryn is our dental assistant. Kathryn grew up in New Mexico and has lived in the Dallas area for over 30 years. Kathryn is married with two daughters and a son-in-law. During her time away from the office Kathryn enjoys knitting, biking, going to movies, and spending time with her family. Joyce is our office manager. Joyce is married with three grown children, two sons-in-law, one daughter-in-law, a teenage daughter and two young grandsons. She enjoys spending time with family, discovering good reads, volunteering at church, scrapbooking, movies, and vacationing at the beach. Laurel is our receptionist. She has lived in Texas for over 25 years and loves it here. She is married and has 6 children. When she has free time she enjoys refinishing furniture, sewing and reading.